Not on national television on a picture-perfect Southern California evening in Los Angeles, forced to keep the scoreline from ballooning further in the home team’s favor. Not being the last line of defense in a Western Conference showdown. Not standing on his head as a superstar like Carlos Vela persistently tried to be the first to put one past Andrew Putna in this Major League Soccer debut that came so much earlier than anyone could’ve predicted. But there he was, the 23-year-old goalkeeper who a few months earlier was still getting used to life as a professional. Plans can get sent through the shredder in an instant. 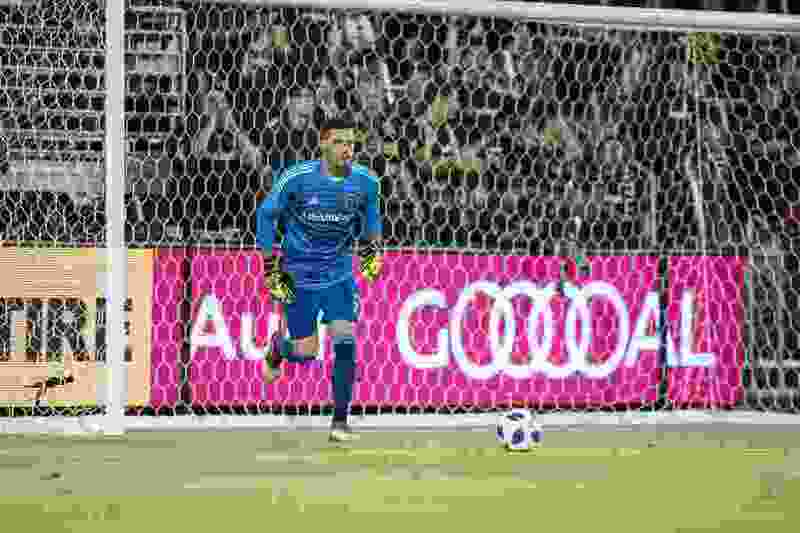 RSL’s hopes of nabbing a result at LAFC Wednesday died when another early road goal conceded was compounded by an injury to goalkeeper Nick Rimando. A hamstring strain forced off the RSL stalwart at halftime after he played through the injury suffered in the 11th minute of the match. Putna. Earlier this year, he was the backup keeper for RSL’s USL franchise, the Real Monarchs. Things change swiftly. Seriously. RSL’s primary backup, Alex Horwath who signed with the club in the offseason, suffered a season-ending ruptured right Achilles tendon in May. The third choice, goalkeeper Connor Sparrow, suffered a knee injury this summer and has been sidelined indefinitely. Suddenly lacking depth behind the 39-year-old Rimando, RSL signed Putna in July. Drafted by RSL in the third round of the 2017 MLS SuperDraft, the University of Illinois-Chicago product had spent his time developing with the Monarchs until RSL had no other choice but to speed it up. It came Wednesday, in the thick of a heated postseason race, when Putna was put on at halftime and eventually made four saves to keep a second-half shutout and give RSL a fighting chance. Once Rimando relayed that he would no longer be able to go, Putna’s number was called, and between the posts, he rose to the occasion. The moment didn’t prove too big. Depending on the severity of Rimando’s hamstring injury, RSL will need its fourth-string keeper to maintain that level. Another quick turnaround awaits. RSL is onto its second of three straight road games Saturday night in Houston, where the forecast calls for temperatures in upper 90s and sweltering humidity. If Rimando is unable to suit up, RSL does qualify for the MLS extreme hardship rule, which allows clubs to sign goalkeepers from their USL affiliates to short-term contracts. Meaning the odds-on backup keeper in Houston would be Monarchs keeper Jake Leeker. The injury bug is hitting one of RSL’s most stable positions at the worst possible time of the year. Should Putna get the nod Saturday against the Dynamo, which would be his first career start in MLS, he’ll be hoping for a simple touch of the ball. All goalkeepers need that first touch in the match to settle whatever nerves might be rumbling about. The last thing you want is to face a blistering shot headed your way shortly after the whistle sounds. Whatever might help will go a long way. RSL’s brutal road woes (now 1-9-2 in 2018) continue and Houston in late August is probably atop the list of most grueling road trips in MLS. Putna became the 10th RSL player to make his club debut in 2018. How he fares in the meantime could decide where RSL stands in the playoff picture in the coming weeks. About the Dynamo » Despite having lost their last four league matches, the Dynamo will play for the 2018 U.S. Open Cup trophy against Philadelphia on Sept. 26. … Houston’s last win came in a 4-2 victory over Sporting KC on July 18. … Striker Alberth Elis (nine goals and eight assists) is suspended for the match. … The Dynamo have lost back-to-back home matches. … Forward Mauro Manotas leads the team with 11 goals scored in 2018. About RSL » Had its four-game unbeaten streak snapped in Wednesday’s 2-0 loss at LAFC. … Center back Marcelo Silva (foot) is questionable, having missed the last two matches with the injury. … Goalkeeper Nick Rimando (hamstring) is questionable. … RSL is now 1-9-2 away from home in 2018. … RSL’s last visit to Houston was a 5-1 thrashing last summer. … RSL’s three-game road trip continues next Saturday when it travels to face rival Colorado on Aug. 25 in Commerce City, Colo.